98. 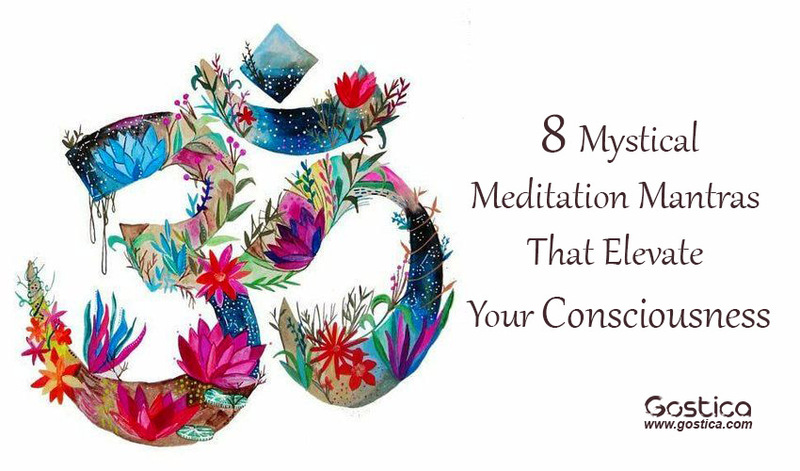 CREATE YOUR OWN SACRED MEDITATION MANTRAS. Mantras are like lotus flowers that spring forth from the murky depths of our minds, and blossom into the purity of being. Mantras, although simple words and sounds repeated over and over again, are immensely powerful in their ability to raise our consciousness. Not only are words and sounds a manifestation of energy vibrating at different frequencies, but they are also imbued with centuries of meaning. In fact, mantras and chants are so ancient that they are said to be over 3,000 years (or more) old. We all have different desires, needs and preferences, which is why it is so important to pick a mantra that personally appeals to you (and not just because it is popular or well-known). Remember to pay attention to each of the following meditation mantras and their underlying meanings. Choose one that appeals to you on a deep level and one that you desire to have steeped in your unconscious mind. My personal favorite is “om mani Padme Hum,” not only because it is easy to remember, but because its meaning resonates deeply with my needs in this period of my life. I also recommend experimenting with different meditation mantras. Don’t feel pressured to choose a mantra from a different language (i.e. Sanskrit) unless you really resonate with it. In fact, you might prefer to create your own mantra which might be far more powerful than any pre-written one. You will find a few examples below. “Om” is said to be the first sound and the birth of all other sounds. It is essentially the sound of infinity and is said to vibrate at the pitch of the universe (432 Hertz). This ancient sound can be changed by itself to help focus, clear and purify the mind, or placed in front of other meditation mantras. This mantra helps us to become aware of our irrevocable connection with all of life and helps us to open our hearts to understanding, love, and compassion for others. Chanting the name of God/Consciousness/Source is also another powerful type of meditation mantra. Select any name that appeals to you the most and sit with it in silence. Repeat the name in your mind, or out loud. Let the syllables vibrate through you and infuse your mind, heart, and soul with meaning, power, and significance. This mantra, popularized by the Hare Krishna movement (ISKCON), is a form of transcendental vibration that is said to expand our consciousness by repeating the three names of Supreme Being; Hare, Krishna, and Rama. When repeatedly chanted, this mantra helps us to taste something known as Krishna Consciousness (purity of being). This ancient Hawaiian word translates to, “I’m sorry. Please forgive me. Thank you. I love you.” It is pronounced in the following way: ho-oh-pono-pono. This is an excellent mantra to use when you feel distressed, angry or ashamed. You might like to repeat the word “Ho’oponopono” or its literal translation, “I’m sorry. Please forgive me. Thank you. I love you” as a mantra. Ham and Sa in Sanskrit translate to “I am that,” and thus reaffirms our conscious presence and infinite state of undivided Being. Do this mantra by breathing in and saying “ham” (thus affirming your “I am-ness”) and breathing out saying “sa” (thus bridging the gap between self and other, creating oneness). Choose a word that is of great significance to you, or a sentence of deep meaning, e.g. “I am love, you are love,” “I forgive myself,” “Freedom, peace, resolve,” “I change my thoughts, I change my world” etc. Repeat whatever mantra you have chosen or created for yourself many times over. Many people give up after 20 repeats expecting a miraculous change to suddenly materialize. No, mantras must be repeated thousands of times, even hundreds of thousands of times for their effects to be felt. But start slow. For example, dedicate 30 minutes every day to your mantra.